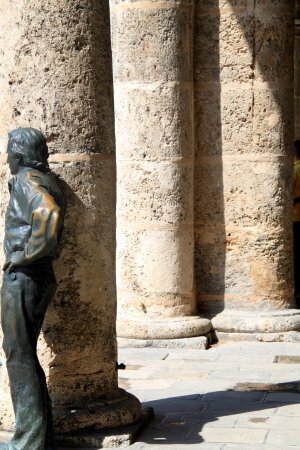 The life like stature of Antonio Gades created by the Sculpture Jose Villa Soberon, stands in front of the Palacio de Lombillo on the Plaza de la Catedral. 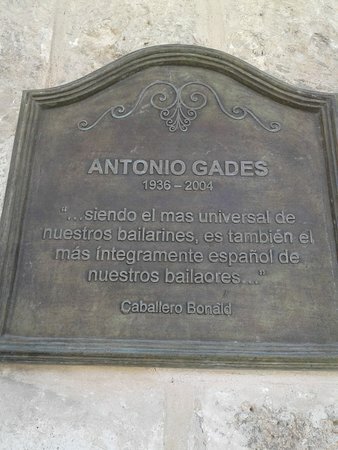 Antonio Gades was a Spanish Flamenco dancer. 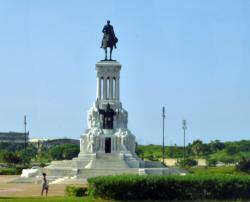 This is one of many life like statues throughout Havana. 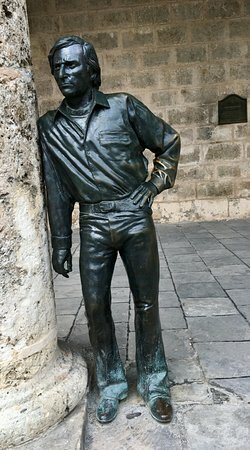 Not worth a visit to just see this statue but if in the area it makes for a good photo. 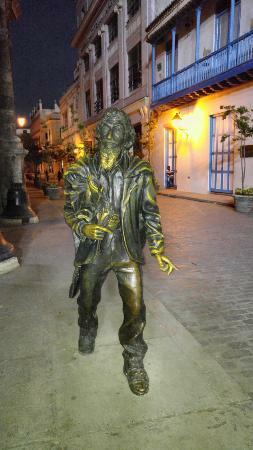 This statue is of Gades, a famous dancer. 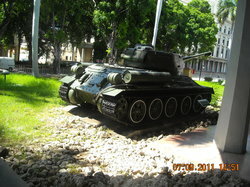 It is located in cathedral square. 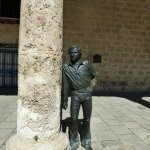 Statue is leaning against a building and looks very realistic. 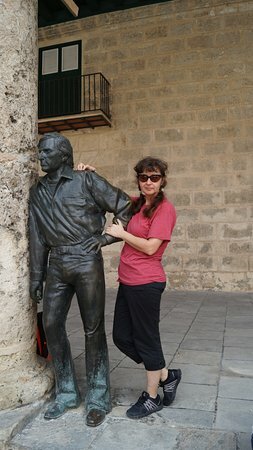 Sculptures located throughout Havana are awesome! 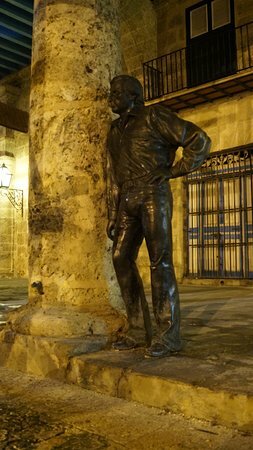 Walking through Cathedral Square we came across this monument to Antonio Gades who was a Spanish Flamenco dancer and choreographer.It is so lifelike that initially I thought it was a street entertainer,but on closer examination I realised my mistake.Well worth a look. 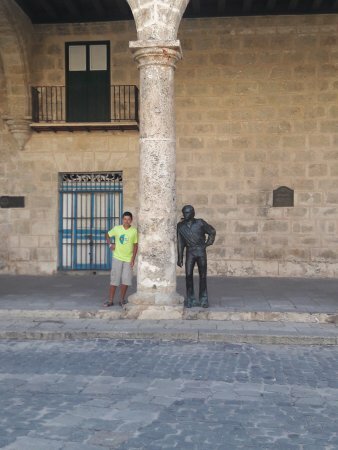 One of the nice things about discovering art in Cuba, is that when you get home you want to research and learn more. This was a beautiful piece in an even more beautiful setting. 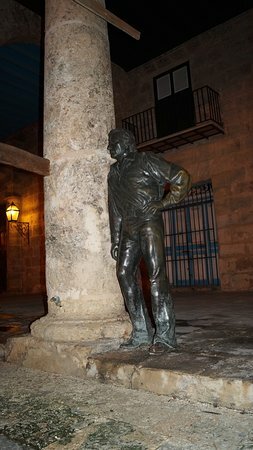 Plaza Cathedral has a bronze sculpture of Antonio Gades, who is the recognised as his generation's greatest male spanish dancer. 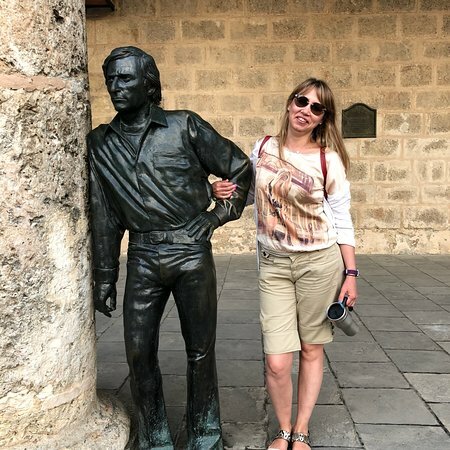 He was a Spanish flamenco dancer and choreographer, who helped popularize the art on the international stage. 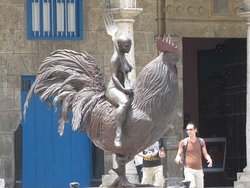 I love all of the public sculpture in Havana, and this is no exception. 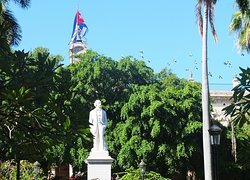 They are all over the place and add to the character and charm of one of my favorite cities. All of these, including this one, are very well-done. 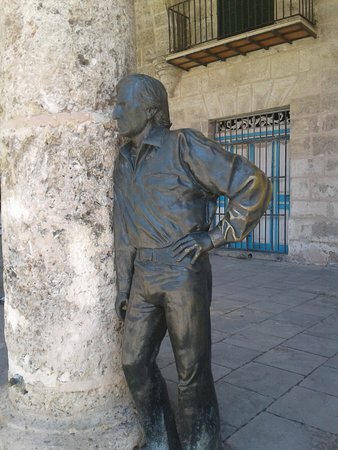 It is important that there is a statue of dancing as it is so important to preserve the history of Cuban dance. 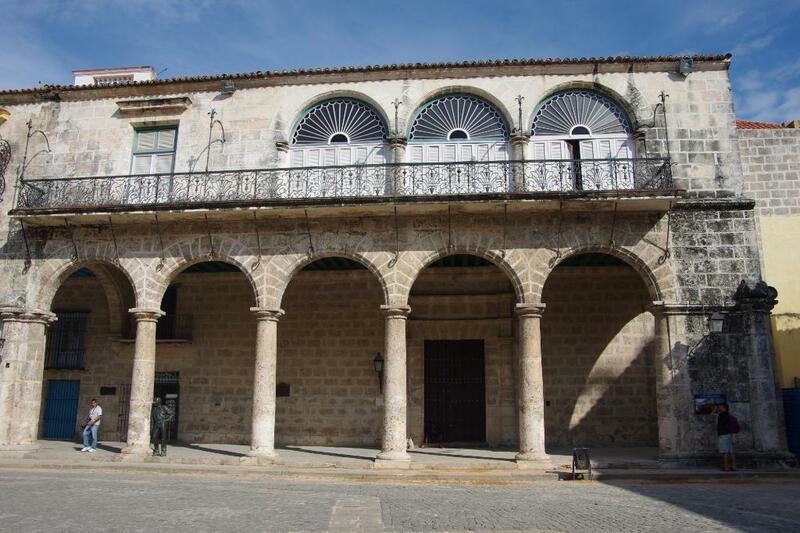 The building is also interesting as it is their historic post office. 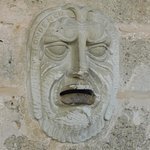 The letter drop is the mouth of another statue. 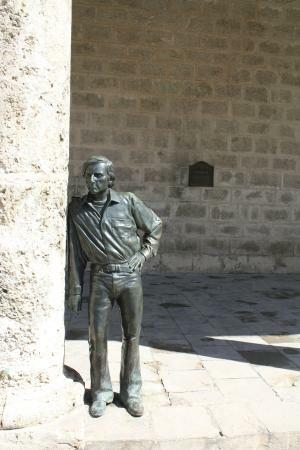 Get quick answers from Monument to Antonio Gades staff and past visitors.